Well-bred youngster Lite My Cigar is in good order for his return to racing at Rotorua on Friday. He will resume from a spell in the Motion Entertainment 2YO (1230m) with trainer Brendon Hawtin pleased by the colt’s progress. 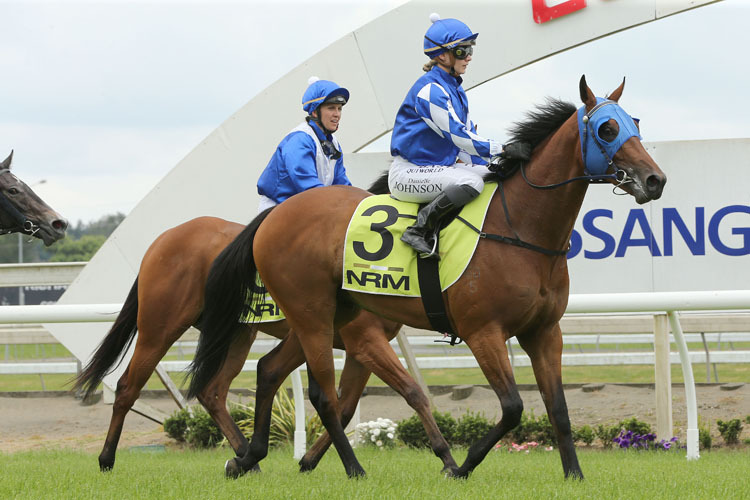 “I’m really happy with him, he’s had a good break and he trialled up well,” he said. A son of Darci Brahma and the Group Two winner Smoulder, Lite My Cigar won his 4 f heat at Cambridge last month following a lay-off after two unplaced runs last year. “He didn’t have much luck in his first start at Pukekohe and then we went to Trentham, probably one of those silly things you do when you’re trying to qualify for the big race (the Karaka Million),” Hawtin said. Lite My Cigar was out of the money in the Gr.2 Wakefield Challenge Stakes (1200m), but has come back a stronger individual this time around. Meanwhile, Hawtin will withdraw the promising Aligns With Me from his Saturday engagement at Te Rapa due to a wide gate. “He won’t be running and we’ll trial him next Tuesday at Te Awamutu,” he said. Aligns With Me hasn’t raced since he was successful on debut in the spring. While Aligns With Me won’t start in Saturday’s Sensortronic Scales 6 f, the stable has two other strong chances in Pitch And Switch and Indian Maid. The latter was a solid fourth when resuming at Te Aroha while Pitch And Switch broke her maiden at Avondale and was then runner-up off a wide run at Avondale.